Wolf Creek Estates is a unique neighborhood of 256 homes in northwest Plano, Texas. Wolf Creek Estates Homes for Sale & Real Estate is built on approximately 10 acres of common grounds with mature growth, native trees and a series of connected lakes built along a natural creek bed. The natural beauty of our neighborhood makes you feel like you’re in the country, instead of in the middle of a thriving metropolitan area. One of the many things that make Wolf Creek Estates unique is the abundant wildlife seen throughout the year. 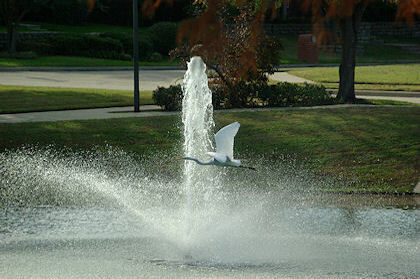 In the spring, it’s quite common to see blue herons and egrets, as well as many other forms of aquatic waterfowl. Wolf Creek Estates residents enjoy numerous social events and activities each year. Residents enjoy the Easter Egg Hunt with “Joe the Easter Bunny” as well as the Memorial Day Parade, just to mention two of the annual functions. Also, many join in the fun during December, decorating their homes for the annual “best lit home” contest. Once your explore Wolf Creek Estates, you’ll agree that Wolf Creek Estates is a great place to live and raise a family. Several custom home floor plans are offered by David Weekley, Highland and Lennar. Wolf Creek Estates Homes for Sale & Real Estate ranges from 400K to 900K. Lot sizes are large here, typically .25 to .5 acre with most homes built in the late 90’s. Many of homes are situated on wooded lots on winding streets that are both private and conveniently located to schools, shopping, highways and any convenience you desire. Children attend the Plano Independent School District, with exemplary Barksdale, Renner, Shepton and Plano West as your schools. Information about Wolf Creek Estates Homes for Sale and Wolf Creek Estates Real Estate can be found calling or stopping by our office located just East of Wolf Creek in the master-planned community of Castle Hills. Stop by or call Renee Mears Realtors for a list of currently available homes in Wolf Creek. When looking to buy a home in Wolf Creek or sell a home in Wolf Creek it is always best to use an experienced Wolf Creek, Plano Realtor. If you are interested in Wolf Creek Estates Homes for Sale & Real Estate call Renee Mears at 972-489-0828. What's my Wolf Creek home worth? Beautifully updated family home on oversized corner lot with custom pool & short walk to parks, private ponds & walking trails. Extensive wood flooring, rich moldings, updated hardware & fixtures, art niches, high ceilings, upgraded low-E windows & much more. Good flowing open floorplan. Large updated island kitchen with abundant cabinetry & quartz counter tops opens to spacious family room with double stack mantle fireplace. Large split master suite with updated grand bath. Beautiful quartz vanity top. Big gameroom up and nice size secondary bedrooms also with updated baths. Extended stamped concrete patio overlooks private backyard with beautiful custom pool & spa. Lots of grassy play area & mature trees. 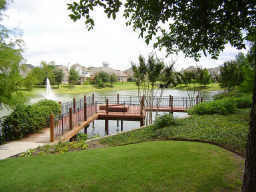 Updated, modern West Plano home with picturesque lake views! Property sides to the beautiful neighborhood lake. Large windows bring in tons of natural light - open floor plan with a large kitchen complete with granite counter tops, stainless steel appliances, and updated lighting. Updated hardwood flooring throughout downstairs, fresh paint throughout, and replaced carpet upstairs! Master and large study down. Oversized game room and three large secondary bedrooms up! Large backyard with a dog run and a recently added covered patio! Located in a lush green neighborhood that is walkable and bikeable. Close to Legacy West corporate corridor for shopping, food, and entertainment! Located in highly rated Plano ISD!